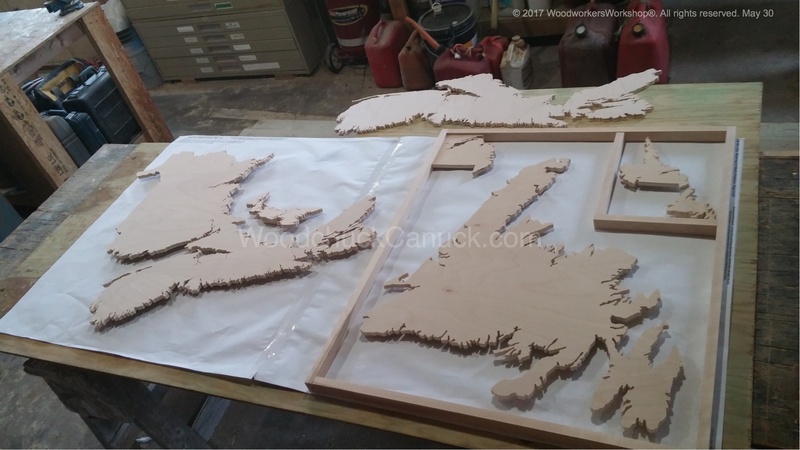 Another Atlantic Provinces group of wood maps (3ft x 6ft) completed. 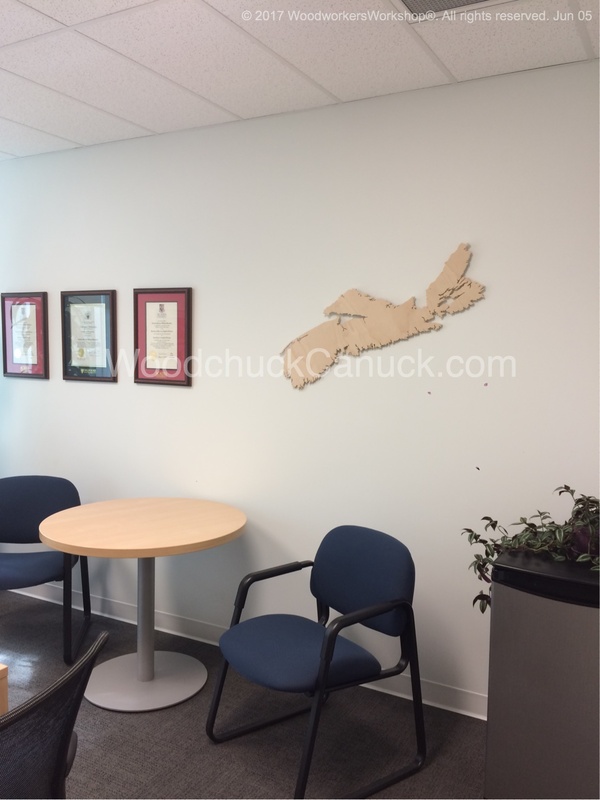 This one is going to a construction company in Dartmouth, Nova Scotia, Lindsay Construction. 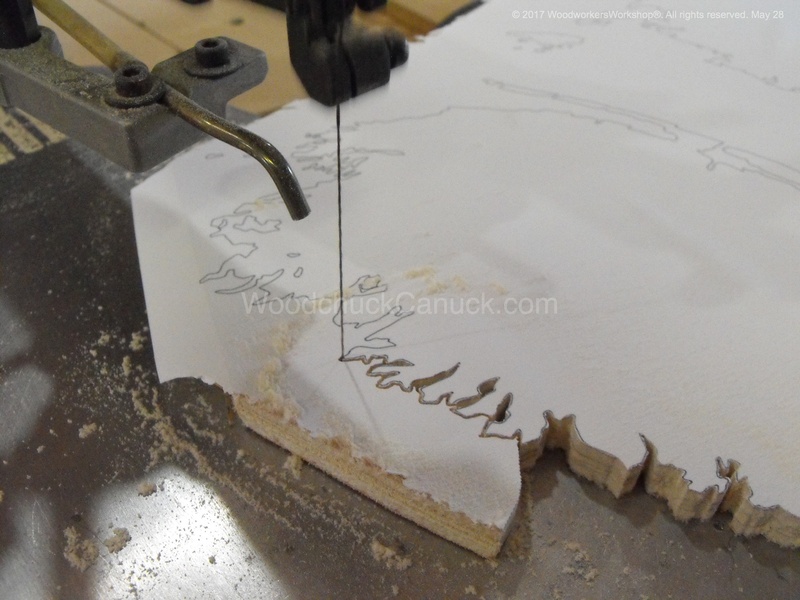 2 hrs cutting on Saturday and 9 hrs on Sunday. Tight deadline, as they contacted me only on Thursday the 25th and are picking it up tomorrow the 30th. 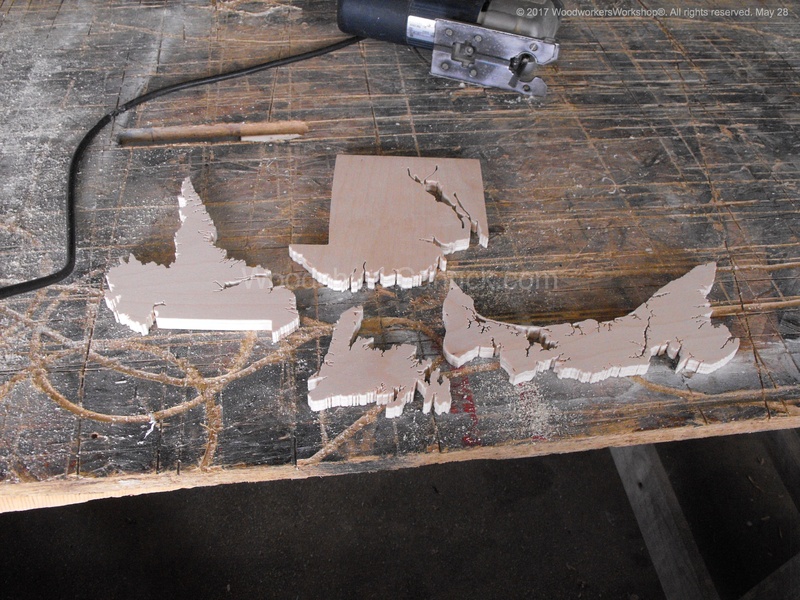 In amongst that we are working on the church too. 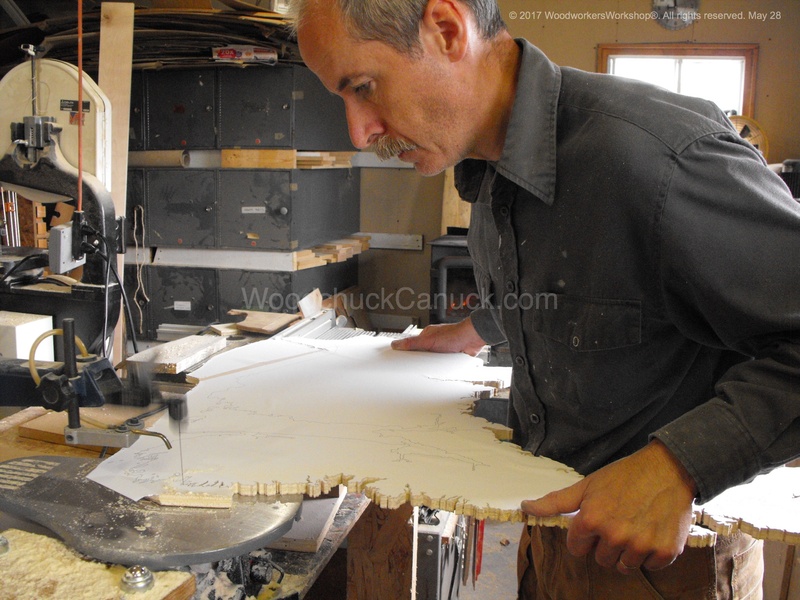 We’ll always do what we can for our customers. 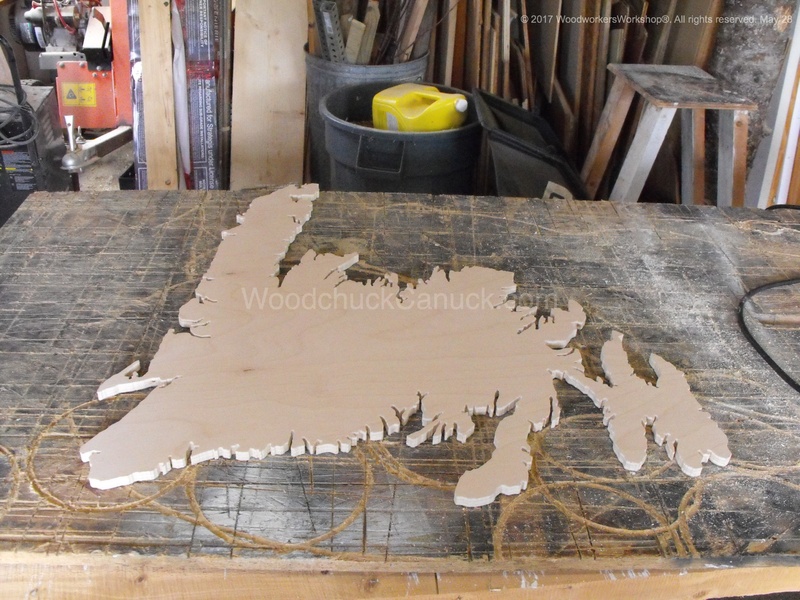 wood map of the Island of Newfoundland, The ROCK. 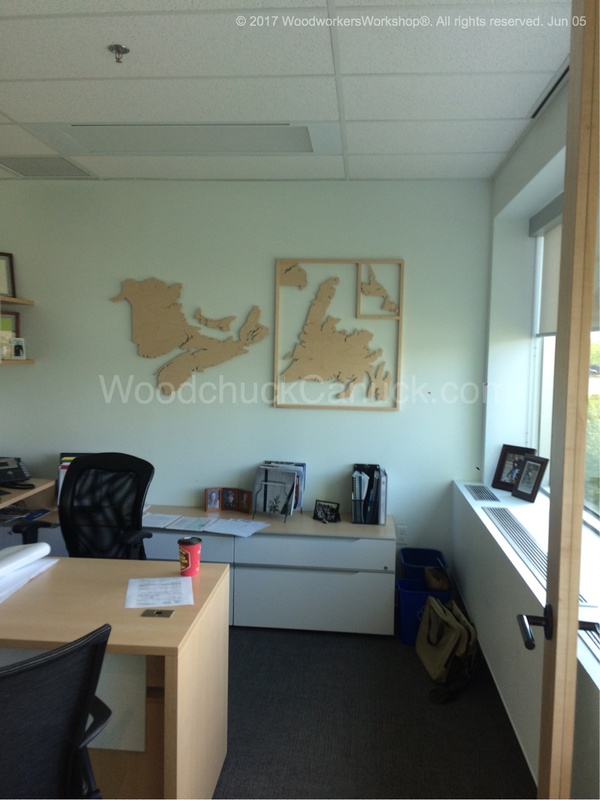 Installation by customer in their office.